A new S.H. MonsterArts Mechagodzilla was on display at Tamashii Nations 2016. Tag Hobby shared the photo. 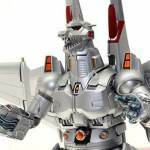 They are producing a new figure, based on the poster for the 1993 movie Godzilla vs Mechagodzilla II. The S.H. 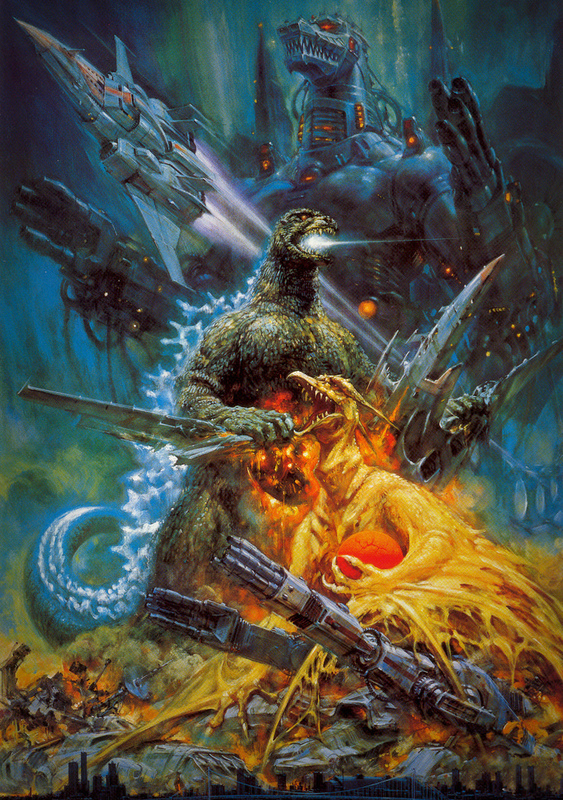 MonsterArts Tamashii Mix Mechagodzilla Poster Version is based on artwork by the late Noriyoshi Ohrai, who passed away last year. We will update with more info when it becomes available. You can see the photo, and the artwork that inspired the figure, after the jump. This version is so much cooler than the one we got in the actual movie. Absolutely love the look, especially the gun fingers. I wonder if there's a reason why he looks so different in the poster. Did Ohrai use early concept art as a reference or did they just let him do his own thing and create whatever design he wanted? Looks cool on the (awesome) poster art, but this again screams 'power rangers' to me. Maybe it'll be alright in person? because I really want to dig this. 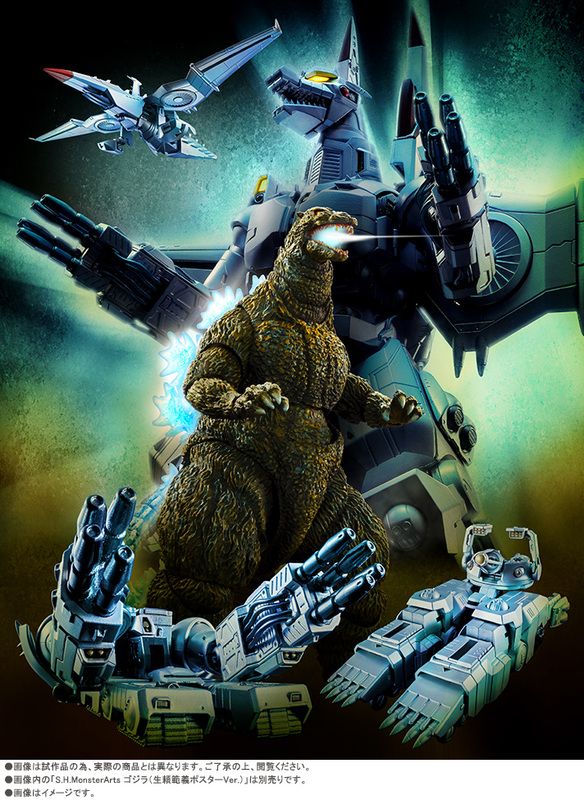 The figure seems to be based on this concept art and it appears that the figure will separate and transform into the tank and jet seen on the movie poster. Well that answers my question! Also really hope he has a transforming option. Yep, Bandai is just damned determined to avoid having to give us Showa monsters any chance they can get. If this transforms, I'm all in on this! Forget this guy, where is the news on the 74 MechaG? 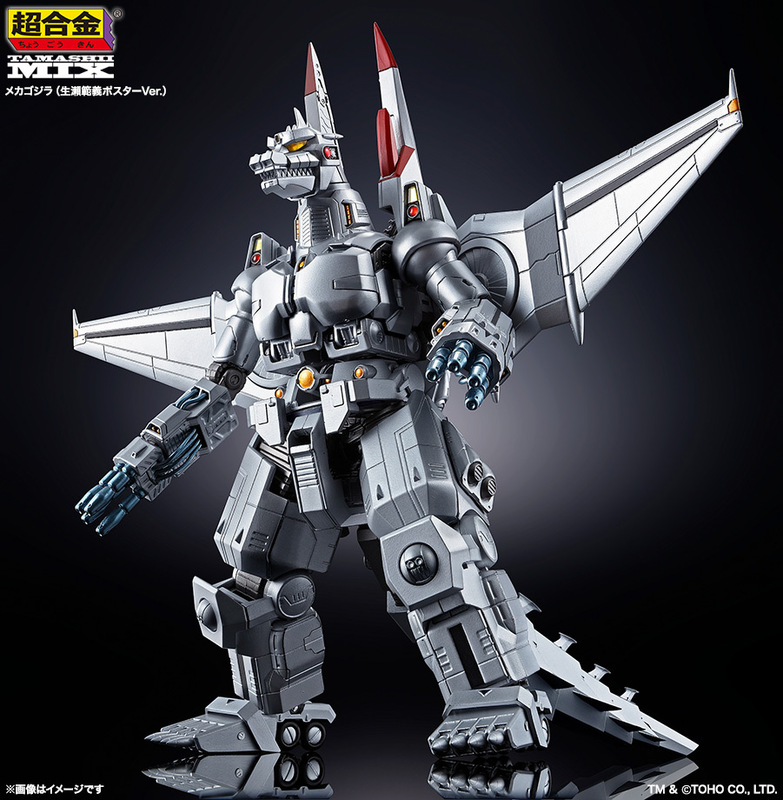 The Mechagodzilla is badass, don't know if I want to spend that much on a design which only ever appeared on a poster though. I rather wait for their Showa Mechagodzilla, no matter how long it takes. Hey look, ANOTHER Heise Godzilla repaint. How original. I feel the same way, except I'm waiting for them to re-release Kiryu. 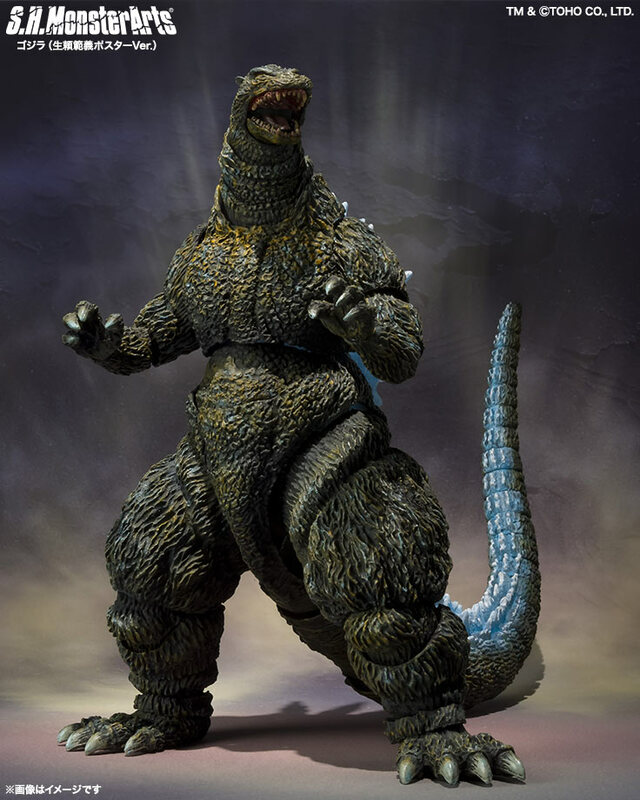 That one is hands down one of my favorite Godzilla series designs of all time. That being said, this thing looks like it'd be a lot of fun to pose and display. I feel the same way, except I'm waiting for them to re-release Kiryu. That one is hands down one of my favorite Godzilla series designs of all time. Kiryu was my first MonsterArts figure and he's great. I hope you get him one way or another. If they ever dive into Millenium stuff again and maybe make the Godzilla from that movie it would make sense to give Kiryu another spin. 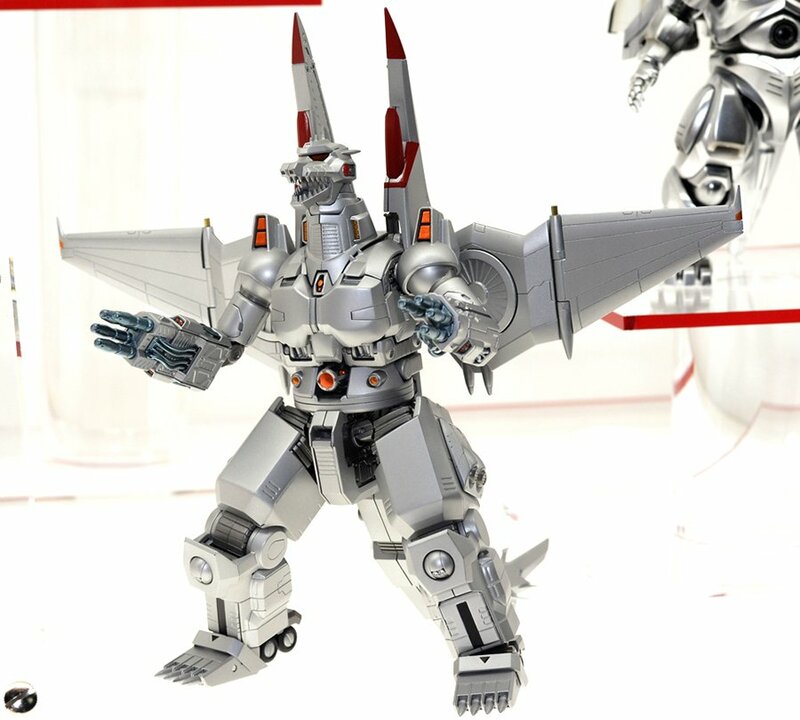 This Mecha G still totally reeks of Power Rangers - a negative in my book, but I'll bet it'll be totally awesome in hand. Price ain't bad either. Original concept art of combining Mechagodzilla. Well I need to rob some banks. 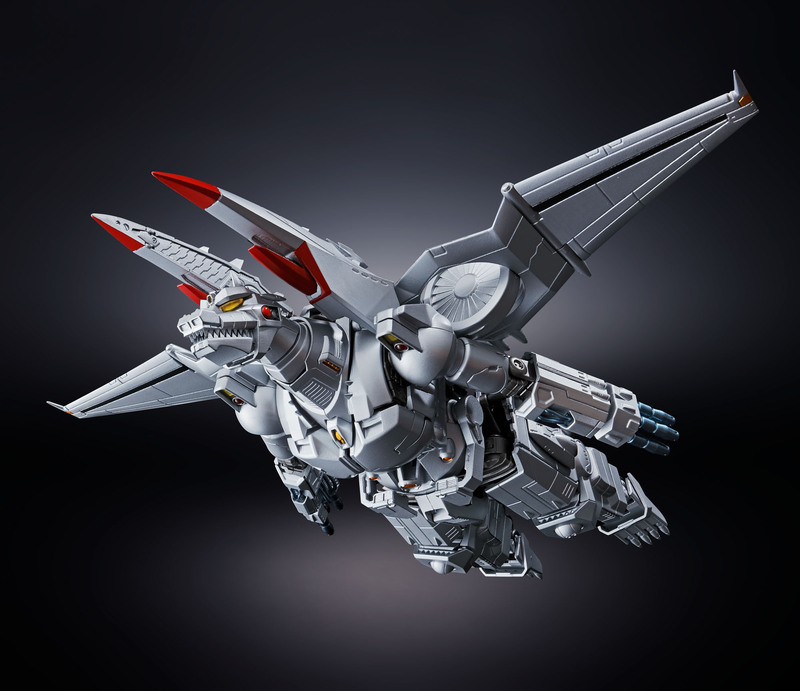 Had there been much info about the US Bandai webstore? They have the Mothra set up for preorder, I'm wondering if they're cutting blue fin distribution out for niche releases or something? Figuring this would get sold there too. Bluefin has been teasing the release of these on their Instagram account. they usually don't share products on their that won't see a U.S. release fro mthem. Ok that's what I was wondering and was a little confused. And that's their listing for Mothra. If it's getting blue fin distribution, I wouldn't need to preorder it from them. There's a bunch of fake "Bandai" shops on the internet, but I thought this one was directly linked from them during their NYC World Tour thing. That one is the official Bandai US Shop, yeah. From what I understand, only select releases will be sold there. But they never seemed to clarify if it will only be items that Bluefin isn't being offered. Ok well I guess that solves that riddle; I can only assume that Mothra set will only be on the Bandai web shop.